McAuley spent five seasons as a regular in the Liverpool's reserve team but never made the step up. His League debut was whilst on loan to Tranmere Rovers, where he made 13 appearances and scored his first Football League goal. The Bootle-born outside-left left Anfield in October 1974, joining Argyle for £12,000 and becoming an immediate success in Tony Waiters' promotion-winning side. 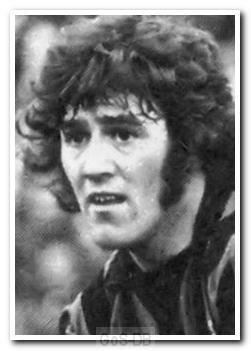 A fast and tricky winger, he was popular with the fans - especially the girls - providing many pin-point crosses for the Mariner / Rafferty partnership. After making just six appearances in his third season at Home Park, he left to play for Charlton Athletic for two seasons, and then returned to Tranmere Rovers, this time permanently, and a year later joined his last League club, Carlisle United, before winding down in non-league football with Formby. After retiring as a player, he initially worked with the Merseyside Youth Association and then became involved once again with Liverpool, working with both their reserves and youth academy, where he played a leading role in their first FA Youth Cup win in 1996, a campaign that helped unearth Michael Owen and Jamie Carragher. He left Anfield in May 2009. Whilst playing for Argyle, McAuley had a son who was born in Plymouth and named Hugh; he played over a 100 Football League games for Cheltenham Town – featuring against Argyle several times.